Trousers ($480) by Armani Collezioni; top ($260) by Camilla and Marc; silver cuff ($1580) by John Hardy; earrings, Lisa’s own (photo: Elisse Hassey). 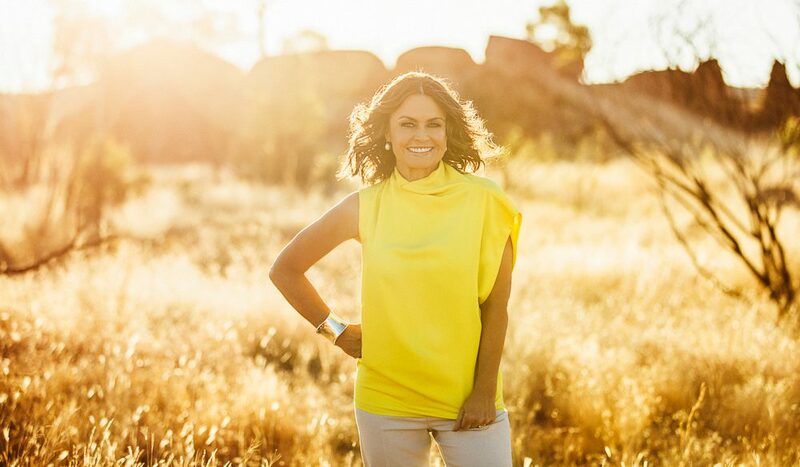 Georgia Rickard talks to one of the Australian media’s most familiar faces, Lisa Wilkinson, about magazines, social media and finding ‘real’ Australia (Photography by Elise Hassey, styling by Anna Santangelo, hair & make-up by Maria Wassef). 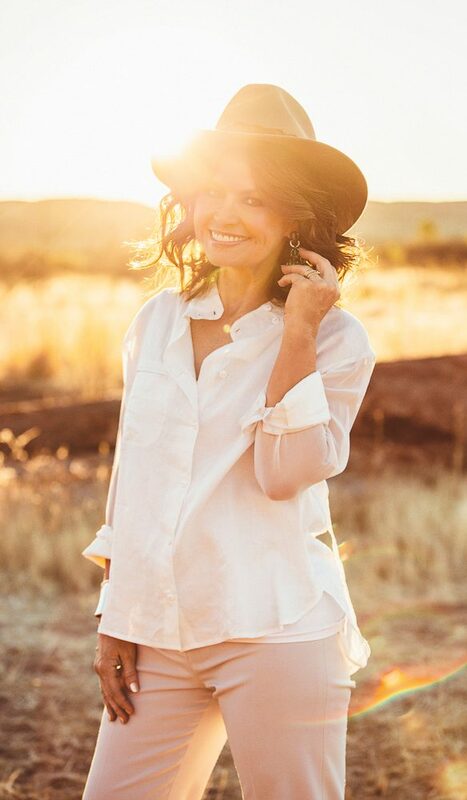 In a world where professional detachment and gravity are prized, Lisa Wilkinson has become known, and loved, for being just the opposite. Ask around Sydney, and stories of her character pour in thick and fast; all of them positive (and that never happens). One anecdote, from a long-standing Nine Network staff member recently made redundant, is particularly telling: Lisa, they say, was one of just three people to get in contact after their sudden departure, to say goodbye and express her regrets. Her past is equally well known. A humble upbringing in outer Sydney suburb Campbelltown was followed by high-school years filled with bullying; on graduation day, she promised herself she’d never again allow herself to be intimidated in such a way. By 21 she was editing teen bible Dolly magazine; in the same decade she found herself on television and the rest, as they say, is history. Yet it is not, perhaps, the story of Lisa herself that is most telling, but the stories she has told over the years that say the most. Indeed there is much to be learnt about our country by looking at one of its most consistent voices; Lisa and the Australian mediascape have gone through a period of great change in tandem, over the past three decades. And on that, Lisa has much to say. 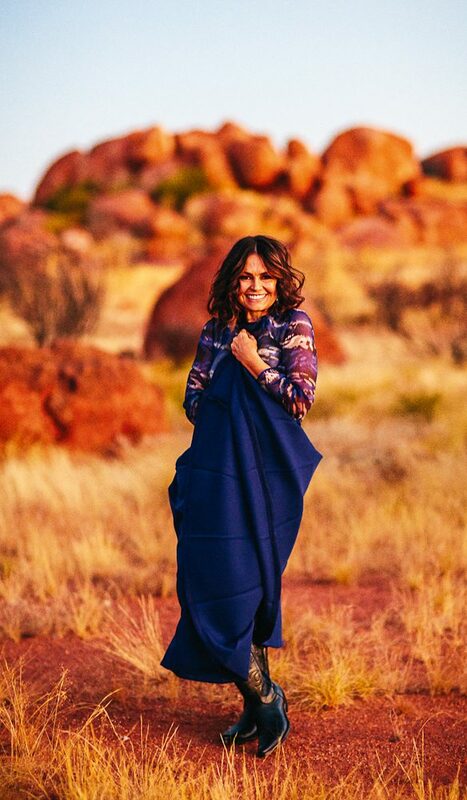 She is gracious when she arrives at the Australian Traveller shoot – if a tad cooler than her television persona, though that’s nothing out of the ordinary for anyone with a high profile – and memorises the entire crew’s names straight up. So far so good; the reputation stands. Two hours later she goes one better, delighting us all by delivering a series of playful pictures that contradict every assumption commonly made about celebrity being deliberately calculated. Even if you’re not an ardent admirer, it’s hard to disagree with her obvious generosity of self. When we sit down to speak in her hotel suite two days later, she is still gracious – despite having worked all weekend – and warm to the point of being totally disarming. She says it simply, but there is obvious emotion attached – the kind most people would vehemently push away rather than show a virtual stranger (and a reporter, at that). To be frank, I am not expecting the honesty, and I fumble over my next question. Perhaps in sympathy – or perhaps because she is as surprised by her grief as I am – she keeps speaking, sharing moments and memories about a man she clearly adored. When I listen back to the recording later, the silence that follows this interlude lasts a long time. In it, Lisa is sitting soundlessly, dabbing at eyes bright with tears, looking at me with a mixture of apologetic grief and bemusement. Such a display suggests, of course, that she is doing precisely the same thing. It’s a fitting example of the Lisa magic that TV executives love (and admittedly, it’s the moment I also totally fall for her). To live so openly – and not just on a regular scale, but in the Petri dish of daily live television – wow. That’s brave. “I’m so glad I came to this particular job at the age that I am, and the age that I was when I first started,” she says, reflectively. “When I make mistakes, and when people can see that I’m screwing up, or I’m, you know, laughing too loud, or I’ve put on a couple of kilos… I want people to realise that it’s actually okay. It’s good. Much has been made of her admissions of a painful teenagehood, in which she suffered at the hands – both physically and otherwise – of high-school bullies. A ballerina with a promising future, she recalls enduring such intimidation that, by age 14, she had given the practice away in the hope it would help her “fall between the cracks”. There was a silver lining to the experience though: how that affected her career. Aged just 19, the insights from teenagehood still fresh in her mind, she was picked from dozens for an entry-level role at Dolly magazine. So too, it seems, was the case for her young readers. In a time of – well, if not innocence, then at least conservatism – the 12- to 15-year-old girls of Australia embraced Lisa’s brand of honesty with staggering enthusiasm. Would it be too far to suggest she played a key role in influencing the minds of a generation? Perhaps not. Under her editorship, circulation of the magazine almost tripled. With its revolutionary content and messages of honesty, Lisa’s Dolly became a generational icon. It was just the beginning of what would become a long relationship with the Australian public; three years later, as her young readers were graduating to Dolly’s big sister, CLEO, Kerry Packer took her out to lunch with designs on having Lisa graduate to CLEO, too. Over the course of lunch however, he changed her mind. Over the next decade, her particular brand of honesty would continue to resonate. 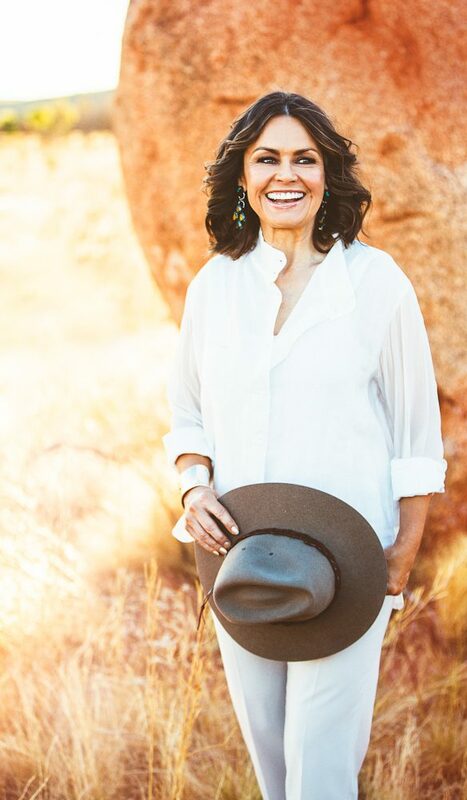 Lisa would go on to take CLEO to new heights (removing Ita Buttrose’s legacy from the magazine, the male centerfold, in the process); the magazine would become the world’s biggest-selling lifestyle magazine on a per-capita basis. Since then, of course, the publishing landscape has changed dramatically. Lisa has been openly critical of the way in which titles are being handled in the current financial climate; she has also challenged the amount of photoshopping, and the ‘unrealistic’ images now being used to illustrate their pages. Last year, as the first woman to give the Andrew Olle Media Lecture since Jana Wendt in 1997, she called for greater honesty, less emphasis on the female appearance and for an end to the perpetuation of sexism and misogyny through reportage. The next challenge is social media, she adds, mentioning Instagram, the app that allows you to share images of your life in real time. Perhaps. Then again, isn’t that precisely what she herself has done, making a living out of being watched by the anonymous millions? Surely there have been times she felt that the scrutiny, the inevitable criticism weren’t worth it. Haven’t there? It is a nice thing to hear from this woman who, despite the somewhat intimidating list of achievements she has under her arm, is simply another human being, going about the business of being imperfect. It is why she loves living in Australia so much, she adds. “It’s a land of incredible opportunity and a land of authenticity. “I love the Australian attitude, I love being an Australian woman… in fact, I love Australian men!” she laughs. “Could I have married a more Australian bloke than a guy who grew up on an orange farm on the Central Coast of New South Wales, who went on to be a Wallaby, and who’s as knock-about as they come? Having recently been made an ambassador of the Territory, it’s something you might expect her to say – but one gets the impression she doesn’t commit to anything she doesn’t want to. Certainly, a passing enquiry earlier in this trip, about her other commercial partnership (with camera brand Canon), lent itself to that impression: her response was an unexpected five minutes long, in which she detailed the emotional experience of shooting breast cancer survivor Marina McDonald and her daughter Sydney, with a level of recall that hinted at heavy project involvement. But that’s the thing about Lisa. Though I am loathe to come to the usual sycophantic conclusion these profiles often call for, she really does seem to be a nice person, sincerely doing the best she can. Especially when, three days later – almost as if she read these words, and decided to underline them – an email pops up in my inbox. I had asked what advice she would now share, if she could again speak to her Dolly readers; she had responded by requesting some time for thought. Crossing her ‘i’s, dotting her ‘t’s – here is someone who does it once, and does it well. It says much about this nation, that such a thoughtful, wholehearted individual is one of its most well-loved icons: and all of it is good. You heard it here first.